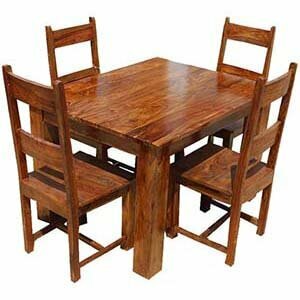 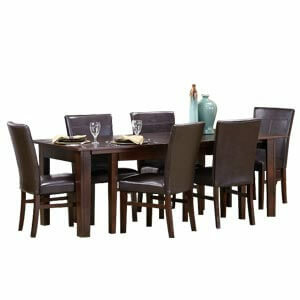 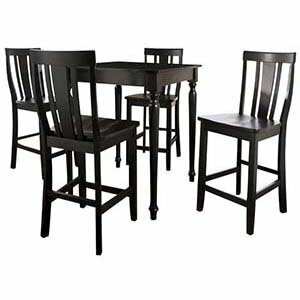 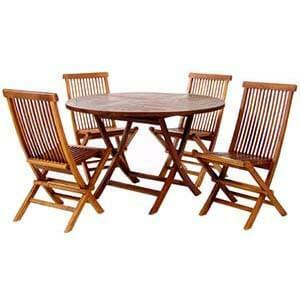 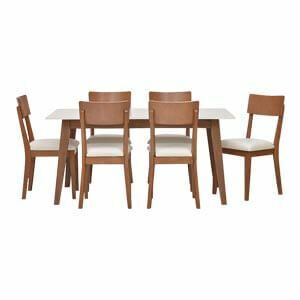 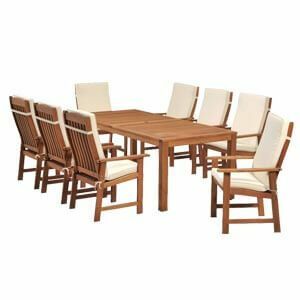 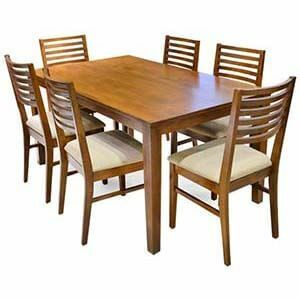 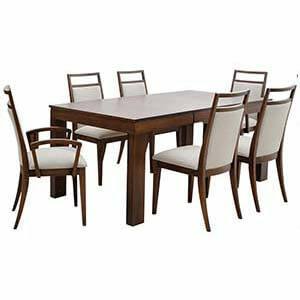 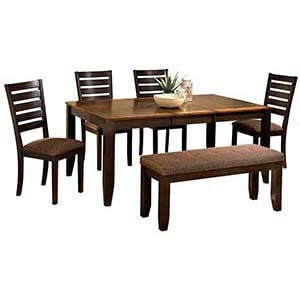 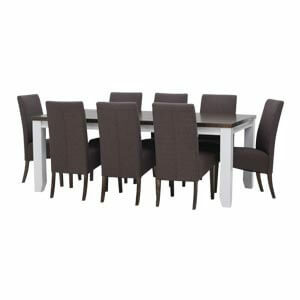 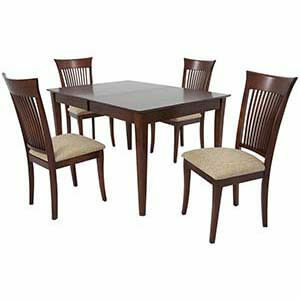 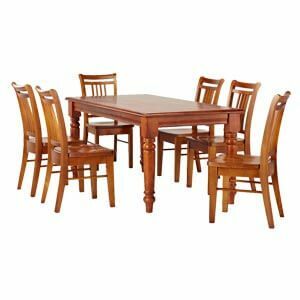 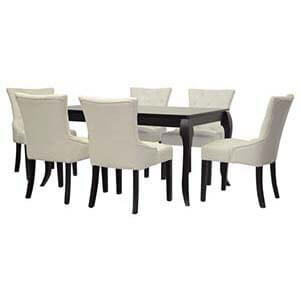 A classic dining table with 4 chairs that can be placed in the kitchen or dining room is what this furniture accomplishes. 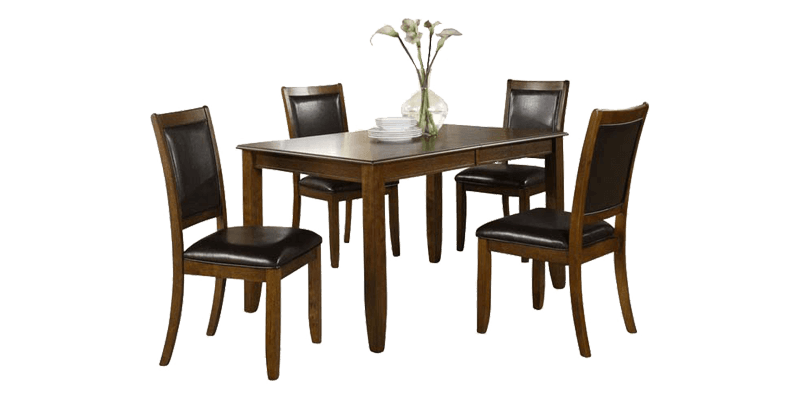 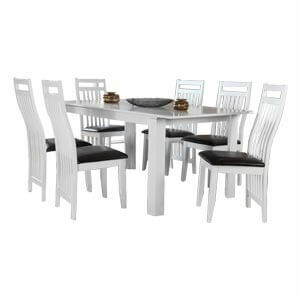 Featuring a spectacular laminated rectangular table top, the dining set comes with a assortment of four chairs having shaker style legs. 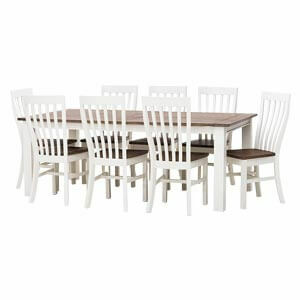 Furthermore, being handmade each unit is unique.